Our first year college leadership programs help students realize their ability to lead their peers and make wise decisions during their college career. Our research-based leadership programs for college students are designed to help you take your college students through the real-life challenges and opportunities that they face on campus and prepare them for life beyond the classroom. Leverage our leadership training for college students to help them make wise decisions during their academic career, whether they are first-years, resident advisors, or in a leadership role on campus. Click one of the links below to learn more about each of our college leadership programs. Do you want to inspire your students to be a positive influence on your college campus? Bring one of Growing Leaders’ inspiring speakers to your college or university to catalyze the change you want to see. Our expert speakers lead in-depth discussions advocating the importance of leadership for college students, and how these valuable leadership traits will help them continue to grow long after they graduate. Thank you so much for your investment at VA Tech. We appreciate your tremendous work with our student-athletes, coaches, staff and faculty. Simply put, you helped us grow and become better as a department. I am grateful. I look forward to staying in touch! 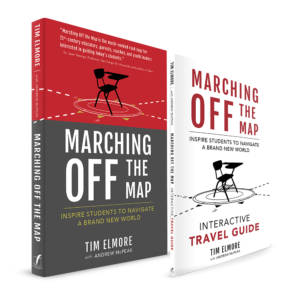 I encourage schools and school districts to partner with Dr. Tim Elmore and Growing Leaders to help both educators and students to enhance their leadership skills. They have inspired our teacher-leaders, applying the 'Habitudes' to our every day classroom situations. Habitudes is the most excellent program for first year students and beyond. It is a program that encourages and teaches deeper thinking and dialog.